Write a Review For BragDeal Inc.
At BragDeal Inc. we provide Website Design and Development solutions that substantially grow businesses in Vancouver. 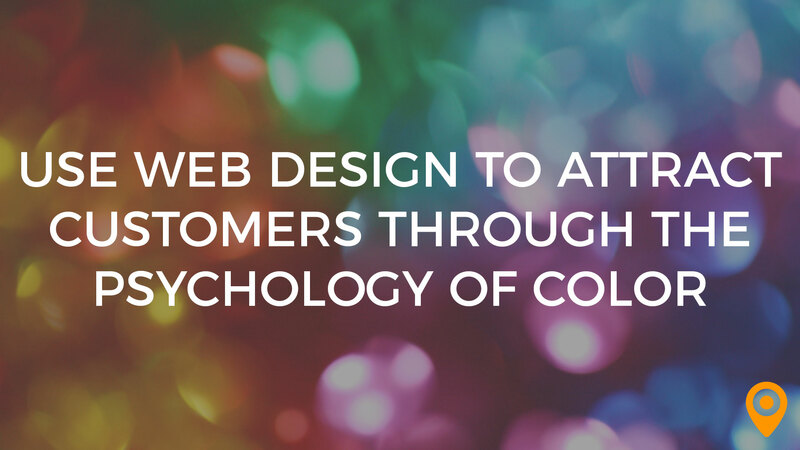 Any good web design company knows there is an element of psychology behind effective design. Read more about how to use color to connect with your core demographic. The team at Bragdeal listened to our wants and needs and made our vision come alive. I highly recommend them. We cannot think of anything specific that we disliked. Our experience was great overall. BragDeal did a great job with the dealership’s video animation promo as well as the Facebook advertising campaign. Would highly recommend their services. BragDeal has a great sense of forward thinking when it comes to Website design and I really appreciated getting their insights on making my website the best it can be! Everything with this project turned out so well that there isn't anything that I would change about my experience. Overall BragDeal is great to work with. They do their work on time and give quality results to make your website a success! A true 10 out of 10! BragDeal is very easy to work with and provides with professional results. Highly recommend. BragDeal's team is responsive, provides quality work, and makes it easy for me to work on my own things without worrying about what's going on. BragDeal Inc. commented on review. I've worked with Bragdeal on 4 websites now for several business and projects that I'm working on. Hands down the best service providers i've ever worked with. They are prompt and responsive, so our communication was smooth. We normally talk a couple of times a week. Since he had a very fast turnaround time, I never had to chase him for anything. Nothing really.. He understood what I wanted and delivered it quickly. I made a Facebook post asking for recommendations for a good website designer. I also looked on Upwork, where I considered 3–4 companies. In the end, I trusted the person who referred him to me. After a discovery phase, they sent mockups for the site. They took the time to ask questions about my pain points and goals. They also did the logo and designed the UX of the website. Incredibly prompt service made working with Brag Deal stress free and fun. Not only is the work done very well but they also share many great ideas I may have not thought of. I continue to work with Brag Deal and have nothing negative at this time to say. I would highly recommend working with Brag Deal. The process was efficient and stress free. The price was very reasonable and I was very happy with the way my site turned out in all aspects. Brag deal gave me such fast and personal service whenever I needed help, help was always readily available. Excellent service and very personal I wasn't passed along groom one department to the next. That I didn't switch over sooner, I wasted a lot of time and money with my last provider and he had travelled to Europe and it would take him days to get back to me. Brag deal called me right away, checked up immediately after everything was transferred over it was one less thing off my plate. Quick turnaround, level of professionalism. We were concerned that we would be without a site for a few weeks, but it was done to our requests in less than a week. Wish we found them earlier. We would have saved time and a lot of money. For what we paid, Dan gave us more than we asked for. We appreciate that it wasn't the bare minimum. BragDeal delivered a high-quality service. As a result, we were able to get more leads and conversions. Most important, their service and client relations were excellent. Nothing really for them to improve upon- they catered to all of our company's needs. We like how responsive and easy to communicate when something is wrong. We haven't experienced anything that we dislike as a company yet. I have been working with Dan for the past two years when we rebranded our business. He has helped us with a new website. We love the overall design, and services offered to meet our company needs. Dan was so easy to work with. He is great at communicating and fair in how he does business. He was upfront with what services would benefit us. He also was open about what services we didn't need to expend our budget on. From design to development and marketing, he did a great job with all our online needs. I didn't have any issues with Dan and BragDeal at all. The service was on point and the quality and pricing was fair. Overall, I love doing business with the entire team at BragDeal. They really care about the businesses they help and their services are effective and affordable. I was extremely impressed with how responsive Dan was. Whether it was early morning, late at night or on weekends, he would get back to me within the hour and ready to help. To be honest, I have nothing but positive things to say. I would refer Dan to anyone looking for web design and development services. Overall, we had a very positive experience working with BragDeal. Dan is patient, professional and efficient. We were on a tight deadline for our websites and his team was able to turn things around quickly without sacrificing quality. Thanks Dan for your hard work. We are very happy with the end product! I liked how the final result was professional, modern, and on time. To be quite honest, I did not find anything to dislike. BragDeal helped me realize my vision, kept me up to date, and adjusted to feedback appropriately. I would definitely recommend them to others. Everything was really good so nothing that I didn’t like. Very smooth, I got exactly the vision I was after. I highly recommend BragDeal to anyone looking for professional websites. Exceptionally happy with the services provided by Bragdeal, will definitely contact them again for future needs! Bragdeal was very professional throughout the entire process and always provided great feedback quickly. I had no issues at all with BragDeal, they over delivered on short notice. Bragdeal delivered the final project exactly as planned and helped me every step of the way for all the projects I had with them. They are very hands on with their clients and make sure to keep you updated with any important details/revisions. Overall, Bragdeal is very knowledgeable and gives great customer service and I would recommend working with Bragdeal to anyone!